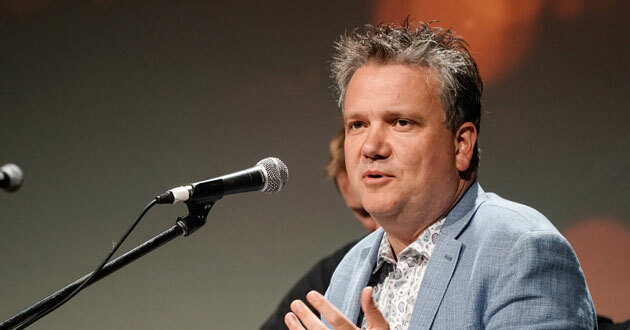 Irish singer and songwriter Keith Getty is perhaps best known for the hymn “In Christ Alone,” which he co-wrote with Stuart Townend. He began his career as a flute and saxophone player and an arranger for Sir James Galway, Michael W. Smith, and many others. Today, with his wife Kristyn, he tours the world from his home base in Nashville, Tenn., though he still keeps a home in Ireland, where he lives for part of the year. 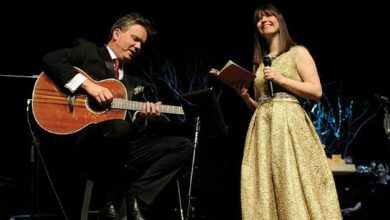 In this conversation we talked about the business of being a songwriter and band leader with his wife Kristyn, who is an integral part not only of his family, of course, but also his career. Not only are you a musician, but also you are a student of successful businessmen and ministry leaders. Business is the organization of our priorities. We have to organize what our priorities are. For us, obviously our devotional life and our marriage and our family are our first mission field. That’s the mission field that God has called us to, no matter what else it is. After that, professionally, our first calling is to write hymns and, secondly, to be stewards of those hymns. What does that look like on a day-to-day basis? We had an issue, for example, this January. Public television was looking at the possibility of a new event, which we were also looking at. It was very, very exciting, but it would’ve been a level up in commitment. It would’ve been a considerable sacrifice to have done. Although it would’ve been by far, the most prestigious opportunity of my life—we certainly thought about it a lot, we were very excited about it—we had to decline it because it would’ve consumed everything we did. … The amount of time it would’ve sucked away from our primary job, which is writing hymns for churches to sing. We had to pass on it, and that was a big disappointment. But it may come around again in a different context. After that, being stewards of the songs. As you know, our music doesn’t work on contemporary Christian radio. 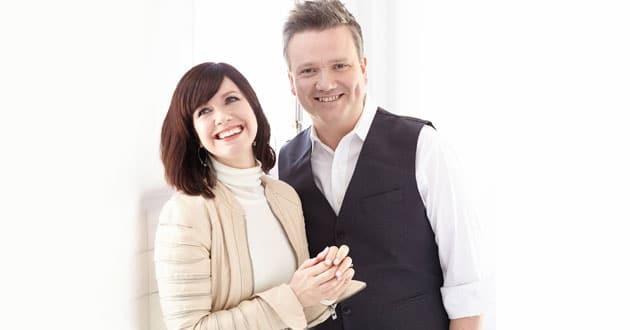 Even “In Christ Alone,” which has been recorded by six major contemporary Christian artists, in the contemporary Christian radio scene, even they can’t get their versions on. There’s only one that’s even started to have it played recently, and that’s because they cut out some of the verses. We had to find new ways of introducing our music. In the process of doing that, a number of things spilled out. We started to travel to churches to introduce the songs, and out of that we tried to do the evenings, and out of that came the hymn tour. How do you set your priorities for your business and family? Everybody has to work it out. For us, it’s meant we do 12 weeks a year on the road and do 40 weeks off the road. Forty weeks at home. Obviously, when that decision was made, Capitol Records, our distributor (we have our own record label but they distribute), they were quite shocked with how we passed up opportunities that were coming our way. It was a massive change, and a lot of people said, “You can’t afford to do that. That’s not a sensible thing.” It’s worked out well. You got to make decisions. You guys have some rules on the road as well, about the way you all behave. Kristyn and I, we’ve actually never had a night apart. We’ve been married 11 1/2 years. Never had a night apart, but we can do that because we work together. … Rooms, cars, and elevators, you can’t be alone with a man or woman in the room. They have to reorganize all the cab schedules and all those kinds of things, drive schedules. It becomes a nightmare for the operational people, but it’s just a rule. The organizations who host us have to respect that. 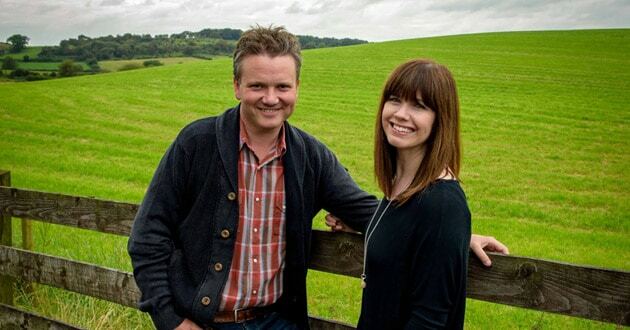 The website of Keith and Kristyn Getty is at GettyMusic.com.